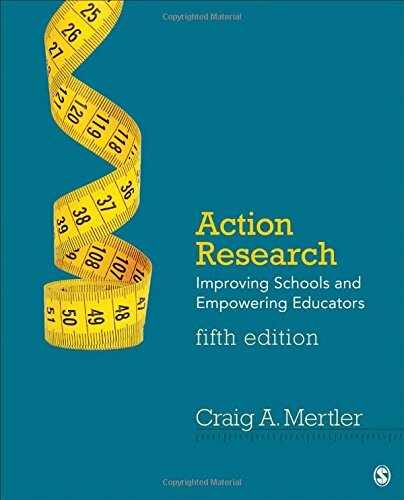 Craig Mertler’s Action Research: Improving Schools and Empowering Educators introduces practicing educators to the process of conducting classroom-based action research. Practical and comprehensive, the book focuses on research methods and procedures that educators can use in their everyday practice. This Fifth Edition adds enhanced coverage of rigor and ethics in action research, means of establishing quality of both quantitative and qualitative data, as well as strengthened pedagogical features. New material includes discussions of social justice advocacy as an application of action research and the inclusion of abstracts in research reports.